FRANKFURT, GERMANY - Iran's deputy minister for petroleum says the hawkish stance taken by U.S. President Donald Trump on the Iranian nuclear deal is a "passing hiccup" that should not affect foreign investment in the country's energy sector. 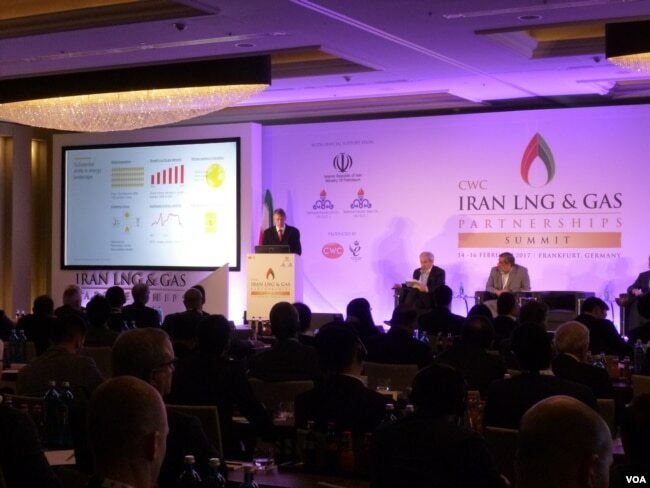 Amir Hossein Zamaninia made the remarks Wednesday at the CWC Iran LNG and Gas Partnerships Summit in Frankfurt, Germany. Iran has among the largest proven natural gas reserves in the world, yet it supplies just 1 percent of the global market. Some sanctions on Iran were lifted a year ago in return for controls on the country's atomic program, under the Joint Comprehensive Plan of Action (JCPOA). Tehran is now looking for foreign investment to rebuild the sector. 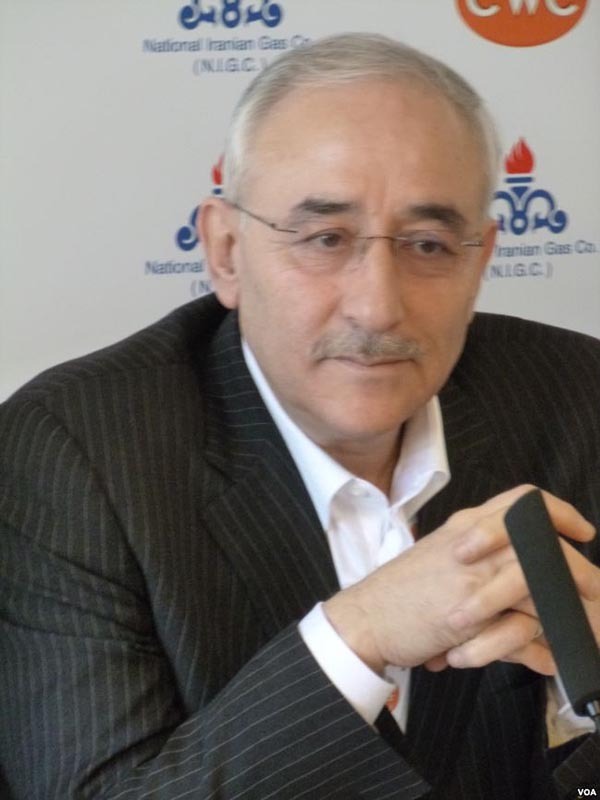 "As far as the oil and gas industry and the credibility of JCPOA is concerned, this may be a passing issue and we can overcome the uncertainties created by this dynamic in Washington," Zamaninia told reporters. He said that $70 billion worth of contracts were available. "Before the end of March 21st, a number of these tenders will be issued and conducted," he said. Trump's election, however, has cast a shadow over Iran's plans. On the campaign trail, he pledged to dismantle the nuclear agreement negotiated by the Obama administration and force Tehran back to the negotiating table. On Wednesday, Trump repeated his criticism of the accord, calling it "the worst deal I have ever seen." This month, French energy giant Total said it would hold off on finalizing its investments in Iran until the United States renewed its waiver on Iranian sanctions in April or May. Yet other European and Asian oil companies are leading the charge into Iran. British-Dutch oil giant Shell inked an initial deal with Tehran in December. The company's vice president in Iran, Hans Nijkamp, underlined that commitment Wednesday, telling the conference,"When Shell gets involved in a country, it wants to be there for the long term." "We look forward to developing further cooperation in the oil and gas sector between Britain and Iran, which will be to the benefit of both countries," he told reporters in December. Craig Pirrong, an energy markets analyst at the University of Houston, told VOA Persian that European countries see Iran as a potentially more reliable source of energy than Russia. "They are anxiously looking for alternative sources of gas because they've been historically dependent on Russia and they're looking to get out of that," he said. The 28-nation European Union relies on Moscow for more than a third of its gas needs, but Russian supplies have been disrupted in recent years by pricing disputes between Russia and Ukraine, through which the gas is delivered to Europe. Tehran's Zamaninia said the recent visit to Washington by the European Union's foreign policy chief, Federica Mogherini, would hearten investors. "She came out and said that she's been reassured that the United States government fully complies with JCPOA," he said. Analysts say that in any case, it will be difficult for Trump to dismantle the Iran nuclear deal, since it was signed and adopted by the U.N. Security Council. Nevertheless, in the new geopolitical environment, the challenge for Iran is to convince foreign companies that its oil and gas sectors are a safe investment. U.S. energy companies may be among the hardest to convince. "They are more tentative than the European companies," Pirrong said. "There haven't been any deals (involving U.S. companies) - they are still in the talking stage, because some U.S. sanctions remain in place against Iran, not related to the nuclear deal. That makes it a more politically sensitive and risky issue for U.S. companies," he said.